The efficacy of your onboarding process is almost entirely dependent on the training medium you select. What errors should you look out for as you make your final decision? Where many decision-makers go wrong is to focus on price. Budget does matter, but features are more important. If your on-boarding course doesn’t have the tools you need, your corporate learners could miss out on valuable lessons. And while many suppliers focus on the practical perks of ownership, you can make an error of omission. Write a list of must-haves and ensure your software is armed with them. Any other feature is a bonus. This is even more of an issue with remote workers. They’re not in the office on a daily basis, so mistakes take longer to spot and correct. Here are some common mistakes to avoid when choosing employee onboarding software for your new remote sales staff. The assumption is onboarding will take place within the office. Your new hires are still finding their footing, so they’re unlikely to do their training at home. Plus, because they’ve just started, they don’t have much else to do. They’ll welcome the set training tasks because it keeps them busy. In some organizations, remote workers will be asked to sit in the office, at least for the first week. This is largely intended to cover their orientation process. However, these physical sessions may not always be possible. So, make sure your onboarding software can be accessed off-site. It could have a built-in app or be compatible with smartphones and tablets. Along the same lines, you can’t guarantee offsite connectivity. The home internet connection, if they have one, may not be as reliable as what they have in the office. And because they rarely come to the office (if ever), they need the space to study. Even when they’re not on the web. Of course, every online training course has some net-related elements, but facilitate offline onboarding training as well. New employees can always go to their favorite hotspot, download the relevant modules, then continue to study at home. Program ‘offline mode’ so they can still enjoy smooth navigation on their devices. They should feel no discernible difference between training with or without direct internet linkage. Your software should also have feedback tools. The option to ‘talk back’ is make-or-break for remote workers. They can feel pretty isolated in their off-site work stations, and this can affect work quality. At the same time, they may feel self-conscious about highlighting their remote position. Make it as easy as possible for them to escalate their issues, both negative and positive. It helps them feel part of the team and makes their online training more effective. At the same time, passive training of any kind minimizes recall. Corporate learners can easily zone out and lose interest. Make sure your new onboarding software has interactive support to increase engagement and participation. It doesn’t have to be complex. It could be as simple as clicking to turn a page or dragging and dropping content elements. Video and audio should also have options to play, pause, and rewind, both online and off. Bear in mind that your remote sales staff must be able to apply their online training in a real-world context. For example, learning about the latest products is one thing. But using simulations and scenarios to hone their sales pitch of those products will improve your ROI. These days, it’s almost impossible to find online materials that have no analytics built in. They play a bigger role for remote sales corporate learners, because you have no opportunity for unplanned interaction. Analytics allow you to formally review their progress. As part of this undertaking, you should see when they’re falling behind. Yes, software-based training has flexible timelines, but you don’t want your new staff onboarding for an entire year. There should at least be a gauge to estimate duration. And if they seem to have forgotten or dropped off, your software should have the ability to send them push notifications. It could be USSD enabled so you can send reminders even when they’re not online. Your new employee onboarding software has all the bells and whistles. The only trouble is that your remote sales staff may not think it’s very user-friendly. Especially those who aren’t necessarily tech-savvy. One of the biggest mistakes to avoid when choosing your onboarding LMS is overlooking the importance of a stress-free UI design. Ensure that your new system is simple to use for every member of the team. 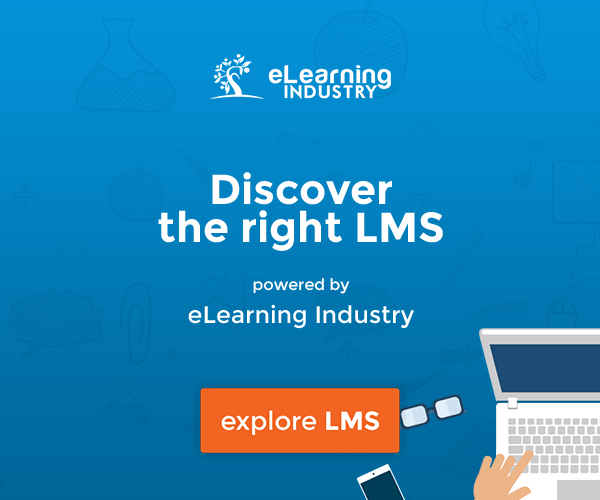 While still giving your L&D team the functionality they need to develop and deploy online training courses. Your onboarding software can make or break your new sales team. It prepares them for the job, but it also influences their perception of their new position. First impressions are difficult to correct, so be sure to get it right from the beginning. The onboarding software you select has a big effect on the quality of your online training course. Ensure it has mobile access, so remote sales staff can train on their phones or tables. It should allow them to access tools even when they don’t have a reliable internet connection. Feedback should be easy to give, especially because they’re not physically in the office and can’t provide it in person. It must also have interactive tools to really get them involved in the new hire online training process. Finally, it has to have alerts enabled. You can remind your corporate learners to study when they lose track and use analytics to monitor their progress. How can you make sure that an onboarding software includes all the must-have features, needed for your in-house and remote employees? How can you use onboarding software to figure out which fresh recruits are going to advance up the corporate ladder? 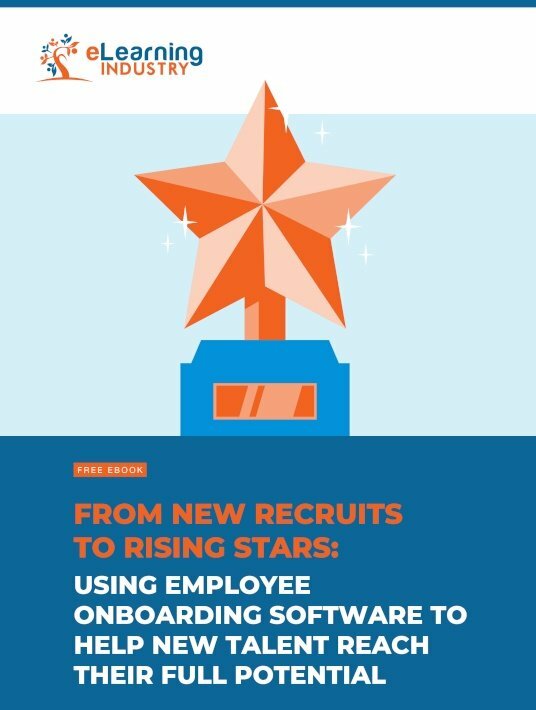 Download our free eBook From New Recruits To Rising Stars: Using Employee Onboarding Software To Help New Talent Reach Their Full Potential to discover how onboarding software can help you identify in-house talent and transform new hires into rising stars. It also features tips on how to surpass new hire expectations by choosing the ideal LMS for your organization.